Thomas Raynott -- Surfers looking to hit the waves don't need to rely on the radio or TV when it comes to weather reports anymore. Instead, they can benefit from the advances of modern technology and a wide range of useful apps that make the surfing experience even better. Here are 5 apps that I found very useful during my surfing trips. Try them to see what surfing looks like when you've got some handy apps on your smartphone. 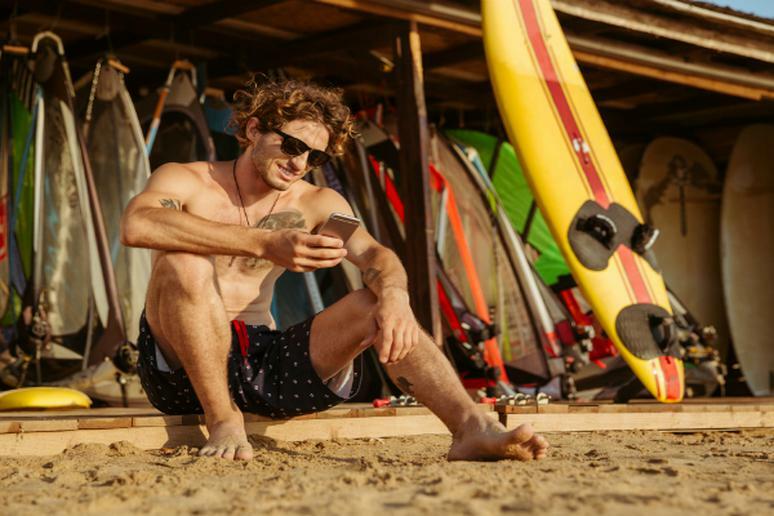 This app was designed to help surfers find the right board. It's just perfect if you're a beginner and don't know your way around surfing boards so well yet. The app was developed by a water science engineer who has a PhD in fluid dynamics, so you can be sure that is the best board research tool on the market. Boardline helps to find the perfect board in a simple way: once you put in your dimensions, style, and weight, you can choose from a variety of suggestions – both models and brands. Since the science behind the app is practically flawless, all you need to do is submit your data and follow the app suggestions when choosing your board. Once you've got your board, it's time to start surfing. But to do that, you need to know what the current ocean conditions are in your location. NOAA Ocean Buoys app offers information about the waves and weather at over 120 buoys scattered across North America, the Caribbean, and Europe. You'll get information about the current wind, swell, temperature, and other relevant weather conditions. But that's not everything. You'll also see data on wind speed, swell periods, directions, and heights, wind gusts, water temperature, air temperature, and even barometric pressure. All this data is updated hourly. Check this app to know what the ocean has in store for you on any day. This app offers top-notch forecasting services for surfers. Surfline is a surf forecasting website and now you can get all the short and long-term forecasting on your mobile as well. The app offers access to current reports and high-quality cameras located in surf locations around the world. The app is free, but I decided to become a premium member because of the special forecasting tools that are accessible once you upgrade. The app was simply indispensable during my last trip to Hawaii. Since everyone doing sports is so obsessed about self-tracking, no wonder that the trend touched surfers as well. Surfr connects surfers with their friends by helping them to share photos and other details about their surfing sessions. But the product also promotes philanthropy by crowdsourcing user logs in order to determine the sanitation, conservation, and medical needs in coastal communities around the globe. For example, users can document garbage on the beach and then the app will coordinate with the right nonprofit organization to host a cleanup. If a surfer using the app happens to visit an orphanage in a remote town in Central America, they can document the institution's needs (for instance, access to drinking water or medical supplies) and the app will note the region and send out the data to the right charity. I had no idea surfing could be used for social good in this way. Beachsafe is just perfect if you're surfing in Australia and want to get all the essential data about the local beaches. The app was designed to offer surfers detailed weather, tide, and swell information, together with hazard and safety patrol data. It covers around 12,000 beaches in Australia, so the chances are high the beach you choose for your next surfing adventure will be included. You can also find out the location of red and yellow flags at the beaches. Moreover, the app provides information about UV indexes to protect surfers from exposure to sun. Mobile technology has a huge impact on our daily lives – including the way we do sports. And thanks to the spread of mobile apps, surfing is now even more exciting than before. Try one of these apps and you will see how easily you can get all the essential information about your prospective surfing locations to make your experience more rewarding as you hit the waves. Is This Man the Coolest Surfer Ever?